Welcome to the urban farming portal! Chamomile (American spelling) or camomile (British) is the name for some herbs related to daisies. The name is of Greek origin which means “earth apple” because of the scent. The same meaning in Persian – “Babondash” is “earth apple” and became “Babonag” in Hebrew and Arabic. These are low shrubs rising 20-30 centimeters from the ground on slender, branched stems with thin leaves. The top ends bear small, white, daisy-like flowers. Chamomiles can live for more than a year. Several species belong to the group but only 2 are of any medicinal importance. One of these is the German chamomile (Matricaria chamomilla), also referred to as “Water of Youth”. The other is called the Roman, English or garden chamomile (Chamaemelum nobile). These are commonly used as herbal teas, infusions, or for medicinal uses. 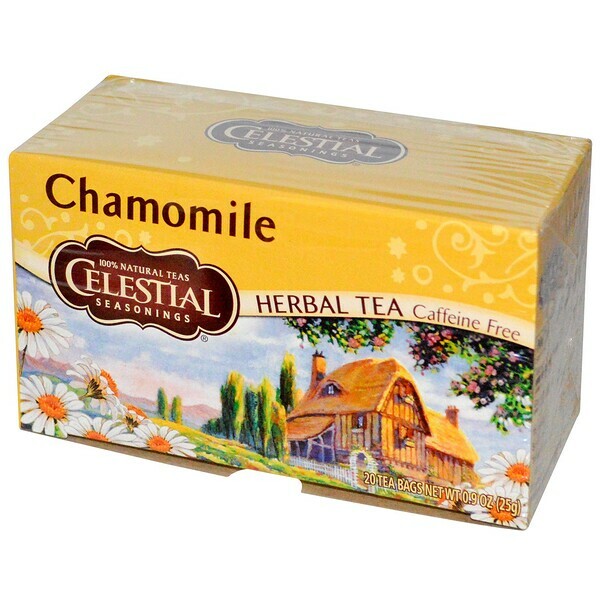 Chamomile was already an important traditional herb in ancient Egypt, Greece, and Rome. It was used for ailments like anxiety and sleeplessness, as well as upset stomachs and diarrhea. Today, scientific research provides explanations for how the herb provides its beneficial properties. Many evidence of its ability to help prevent serious diseases like skin cancer is also being discovered. The nutrients we get from eating chamomile. The following table below shows that the chamomile does not contain significant nutrients. It value is in its Phytochemicals which functions as hormons in our bodies. Recent studies revealed many other phytochemical substances in chamomile. A couple could prove very beneficial to the body. Like other herbs, the plant contains essential oils packed with phytochemicals. Bisabolol is one of its most significant constituents. Bisabolol was extracted and identified during the 12th century. It penetrates deep into the skin tissues to protect and rejuvenate it. It is commercially important to the drug and cosmetics industries. As a “carrying agent” for other beneficial substances. Bisabolol and other similar chemical forms are the major components of chamomile essential oil. Bisabolol is very volatile and gets lost when exposed to air. This is one other notable phytochemical present in chamomile. This dissolves more easily into water and alcohol-based liquids. So it means that it is not part of the essential oil. One of its significant medicinal properties is being a strong antioxidant. There is also strong evidence that it could help prevent cancer. Lab studies use alcohol-based liquids to extract this substance and to measure its concentration. Findings indicate that chamomile contains up to a combined total of 903 µg/g for all forms of apigenin. The traditional use of chamomile is primarily as a means to provide relaxation and restful sleep. It also relieves stress and anxiety, and ease body pains. Researchers have been able to describe and quantify the manner of how the herb is able to do this. They also found other possible healing benefits. There was one study made through a randomized clinical trial among elderly people. Extracts of the herb counteracted the problems caused by sleep deprivation. The experiment determined chamomile enhanced sleep quality among insomnia sufferers. Furthermore, chamomile can greatly ease anxiety or panic attacks. Extracts of the herb were given to 179 subjects during an 8-week clinical trial. A significant reduction was observed in the number and severity of the patient’s symptoms. Chamomile was able to reduce breast pain due to the menstrual period. Herbal extracts eased both mild and moderate degrees of pain in a clinical trial. A paper quoted online proposed chamomile releases an amino acid which relaxes and relieves muscle cramps. 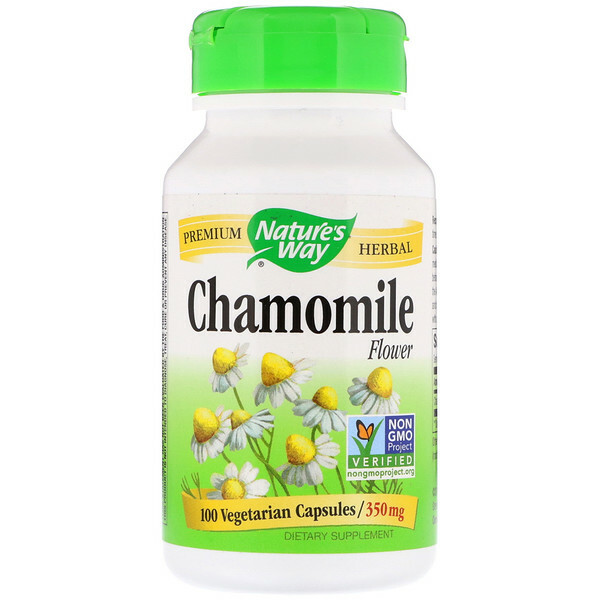 Labs in the United Kingdom and Japan observed evidence of chamomile’s ability to control diabetes. Lab rats afflicted with diabetes were given the tea for 21 days. A very significant reduction in blood sugar was observed. This could be by directly reducing sugar in the blood. It is also possible by preventing the action of molecules in the body which increase blood sugar. The results show the herb could alleviate diabetes and other complications arising from high blood sugar. A lab assessment of chamomile on human cancer cell cultures first reported the herb’s anti-cancer potential. Apigenin is an antioxidant found as a brightly colored pigment in plants. It protect the plant from the sun’s damaging radiation which could lead to cancer. Another report further suggests that the Apigenin is able to weaken cancer cells. This will make them die off while normal cells are not affected. Apigenin is also one of the reasons for the relaxing and calming effect experienced by tea drinkers. Recent scientific studies point to more health benefits aside from this. Apigenin imitates some functions of the hormone estrogen. Estrogen is known to promote the health and growth of nerve cells. Lab experiments using cultured human and mice nerve cells demonstrated how apigenin may work in a similar way, but on a more powerful level. On its own or by boosting the function of estrogen, the nerve cells were observed to regenerate and grow more rapidly. The study proposed that this substance holds promise to cure diseases of the nervous system like Alzheimer’s or Parkinson’s. The antioxidant property of apigenin was assessed in an experiment using heart tissue of rats. It was observed to be able to protect tissues treated with it from injury caused by a lack of oxygen. There were fewer deaths among the heart muscle cells. The surviving cells also showed a quicker recovery of function when compared to the control group. Bisabolol is known as an anti-inflammatory agent. Beneficial effects were seen on the nervous system. Among this is the relief of pain observed in a clinical trial among patients who had oral surgery. The substance also posses disinfectant properties. It was suggested that a bisabolol based oral mouthwash is effective for oral hygiene. It could also reduce mouth and throat infection as well as pain after surgery. Bisabolol was effective against blood infections due to bacteria and blood parasites. It was seen in clinical experiments among mice and dogs in cases of leishmaniasis (parasitic microorganism in the blood). It is very difficult to cure using conventional drugs. But bisabolol was more effective than conventional therapy during the study. During a number of lab studies, bisabolol prevented the growth of cancer cells. In one such experiment on rat and human cancer cells, nerve cells which had become cancerous were affected. These were sensitive to the bisabolol and more easily died, while normal nerve cells were not affected. Bisabolol’s anti-inflammatory properties were assessed for various conditions of the skin and hair scalp. Shampoo containing the active ingredient was used on volunteers who had undergone a hair transplant. Follow-up observations confirmed the efficacy of the shampoo formulation. It reduced irritation, redness, and scarring of the scalp after surgery. The surgeons involved in the trial recommended the use of the shampoo accordingly and for sensitive scalp. In another clinical trial, essential oil with 40% of bisabolol content was utilized. A chemical was applied to rat’s paws to produce swelling and pain. Bisabolol was later applied to the affected areas in the target group. Greater reductions in inflammation resulted compared to the control group. The most significant results were in the group fed the essential oil at a dose of 100mg/kg. The test concludes with results supporting the use of chamomile oil for similar cases. The Health Benefits of Chamomile. Help keep the skin healthy and supple. In addition, chamomile shows good promise to help stop certain types of cancers. This recipe is useful when there is a limited supply of fresh chamomile. It could help preserve the sensitive phytochemicals that are easily destroyed. The preparation is useful for external application for disinfecting cuts and bruises. It can also be taken in small quantities to soothe an upset stomach. Putting a few drops onto a handkerchief or room vaporizer can serve as aromatherapy to relieve stress. Place the fresh or dried chamomile flowers in the jar and then pour boiling water enough to cover them. Fill the jar with the alcohol. Cover tightly with the lid. Place in a cool, dark place. Shake regularly every day for 4-6 weeks to enhance the strength of the tincture. Afterward, take and strain the liquid with a cheesecloth or strainer. Store in smaller resealable jars or vials for easy use.For stomach cramps give up to 1 teaspoon 1-3 times a day as needed. Lessen this to a few drops for kids. It can also be rubbed on the gums or stomach to relieve pain. Rub a few drops on the chest to help babies and young children who are having difficulty sleeping. This recipe is for those who cannot or do not want to take preparations using alcohol. The procedure aims to extract as much of the herb’s essential nutrients and phytochemicals in a home kitchen setting. Some of these substances easily dissolve in water while others do not. So a mixture of water and oil will serve as the base for the extraction. This is based on the simple essential oil extraction recipe for tarragon. An equivalent amount of water is added in order to extract the substances which are not part of the essential oil component. Collect the fresh leaves. With clean hands or knife crush or chop up the leaves and put in a small but deep pan for heating. Add the oil. Put over very low, gentle heat for about one to two hours. Make sure that the oil does not get too hot, just enough for the tarragon essential oils to diffuse. Remove from heat. Transfer into a small glass bottle or flask with a stop. Add the water and then close the bottle. Let it stand for about a week while shaking the mixture regularly. Filter the mixture and collect the liquid into clean, dark bottles with a cap. Close the bottle/s and store in a cool dark place. The oil has many uses. Place several drops into the solution for a humidifier for instant aromatherapy. Small amounts in a vial can be brought along for travel to help with problems like motion sickness or jet lag. It can also be used as the base ingredient for the next homemade remedy and hygiene recipes. 1 Large bowl of freshly boiled water. Place the hot bowl on a table roughly chest high when you sit in front of it. Put the essential oil or tincture into the water and let it mix. Move your face close enough to the bowl so you can comfortably inhale the steam. Wrap the damp towel around your head and the bowl to keep the vapors in as much as possible. Do this for at least 15-20 minutes until your symptoms improve. (Don’t reuse the water for mouthwash after hemerrhoids treatment). Mix the essential oil or tincture into the water. If treating hemorrhoids, put at least 20 mL of the essential oil or tincture into a tub or basin large enough to sit into. Soak the affected area for 30 minutes. For eczema on the foot or hand, 7-12 drops into a small basin will do. For use as a mouthwash, use just more than a couple of drops. This is effective for disinfecting wounds, inflamed or sunburned skin. This is also better as a facial mask beauty enhancer than the oil extract. The high bisabolol content of the fresh herb will greatly help keep skin looking young and healthy. Take 20 gram of the herb (more if used for the facial mask) and cut up into very small pieces. Ground and mash the pieces with the mortar and pestle. Or to make it easier and more convenient, use the blender/ food processor. Put the paste on the affected area and leave for at least 30 minutes to an hour. Repeat 2-3 times a day if possible for about a week. Why should I grow Chamomile? 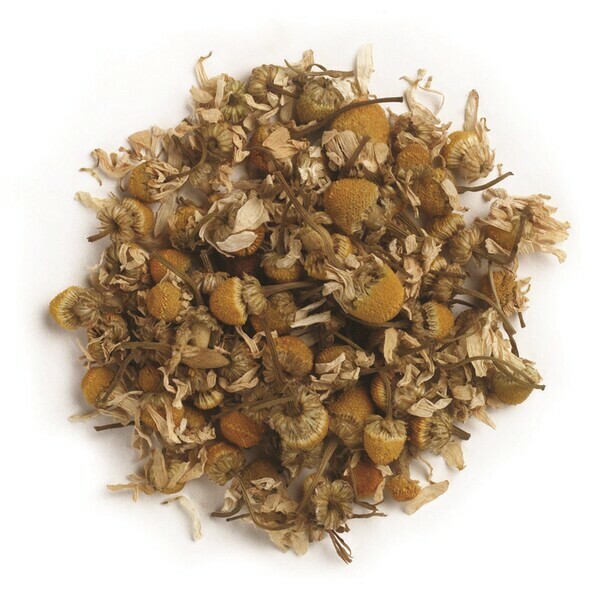 To casual tea drinkers, chamomile is just taken to help relax or have a good night’s sleep. It is to relief from the occasional tummy ache. But recent exhaustive research reveals that there is much more to this common, underappreciated herb. By having this in your condo garden, you would have an easy-to-grow valuable aid for your daily health. The leaves are edible and could be added to green salads. Simple preparations will help the elderly prevent diabetes and keep Alzheimer’s or dementia at bay. Anti-inflammatory and disinfectant properties will be very useful for wounds, sore throats, muscle pain, and colds. For the women, a fresh supply of chamomile provides an inexpensive way to keep skin looking young and beautiful. Like other herbs, much of the phytochemicals including bisabolol are locked up in its essential oils. This easily dissipates into the air when exposed. Much of the effect could be lost in a short amount of time. If you want to get most of the herb’s healthful goodness, it is best to always have freshly growing chamomile in your condo-farm. Chamomile can be grown from seeds or root fragments. The seeds sprout in one to three weeks. During this time it should be in partial shade. After they mature enough, put them in the condo-farm system and place it under full sun. The best session to seed chamomile is in the spring. You can seedling chamomile all year long, but you should do it indoors during the winter. (And use some led grow light). Chamomile should be trimmed frequently to prevent insects harming from it. Just use scissors to cut fresh leaves and flowers and put it hot water for a pleasant sleep. It will regrow rapidly. If you find insects in your chamomile, just give them a nice shower to wash them off. (But don’t use soap)! Growing chamomile until it is matured enough to be eaten can take two months. 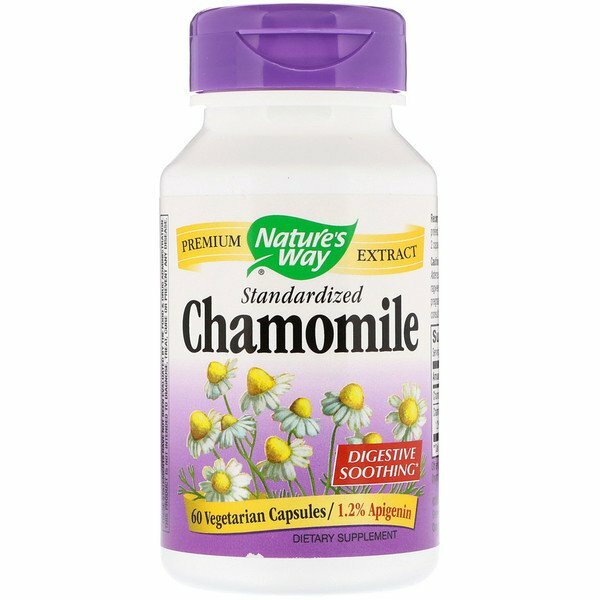 If you want to test the impact of chamomile on your body, you can order the following products from iHerb, and get them in about a week. Then you can make an educated decision whether you want to grow chamomile or not. J. Agric. Food Chem. 2008, 56, 8206–8211. Short-term open-label chamomile (Matricaria chamomilla L.) therapy of moderate to severe generalized anxiety disorder. The effects of chamomile extract on sleep quality among elderly people: A clinical trial. A Review of the Application and Pharmacological Properties of a-Bisabolol and a-Bisabolol-Rich Oils. Supercritical carbon dioxide extraction of chamomile essential oil and its analysis by gas chromatography-mass spectrometry. J. Agric. Food Chem., 1994, 42 (1):154–158. Mol Cell Pharmacol. 2009; 1(3): 138. Commitment of human pluripotent stem cells to a neural lineage is induced by the pro-estrogenic flavonoid apigenin. Souza, Cleide S. et al. Advances in Regenerative Biology, 2015. 2:1. Corneal antinociceptive effect of (-)-α-bisabolol. Protective Effect of Apigenin on Ischemia/Reperfusion Injury of the Isolated Rat Heart. The dietary flavonoid apigenin sensitizes malignant tumor cells to tumor necrosis factor-related apoptosis-inducing ligand. Horinaka M, Yoshida T, Shiraishi T, Nakata S, Wakada M, Sakai T.
Effectiveness of the sesquiterpene (-)-α-bisabolol in dogs with naturally acquired canine leishmaniosis: an exploratory clinical trial. Clinical efficacy of new α-bisabolol mouthwashes in postoperative complications of maxillofacial surgeries: a randomized, controlled, triple-blind clinical trial. alpha-Bisabolol, a nontoxic natural compound, strongly induces apoptosis in glioma cells. Biochem Biophys Res Commun. 2004;315(3):589-94. Highly efficient and compatible shampoo for use after hair transplant. Clin Cosmet Investig Dermatol. 2015 22;8:355-60. Antihyperalgesic and antiedematous activities of bisabolol-oxides-rich matricaria oil in a rat model of inflammation. Tomić M, Popović V, Petrović S, Stepanović-Petrović R, Micov A, Pavlović-Drobac M, Couladis M.